With spring here, it’s the perfect time to breathe new life into your home. Shift your focus to the heart of the home and re-imagine your kitchen with a fresh design and finishes inspired by the latest trends. We’ve picked out our top three Kinsman Kitchens to inspire you for a fresh start this Spring, offering a range of styles and colour palettes to see you through every season. Introduce some wow factor to an all-white coastal style kitchen with Chadstone cabinetry in Midnight Blue. 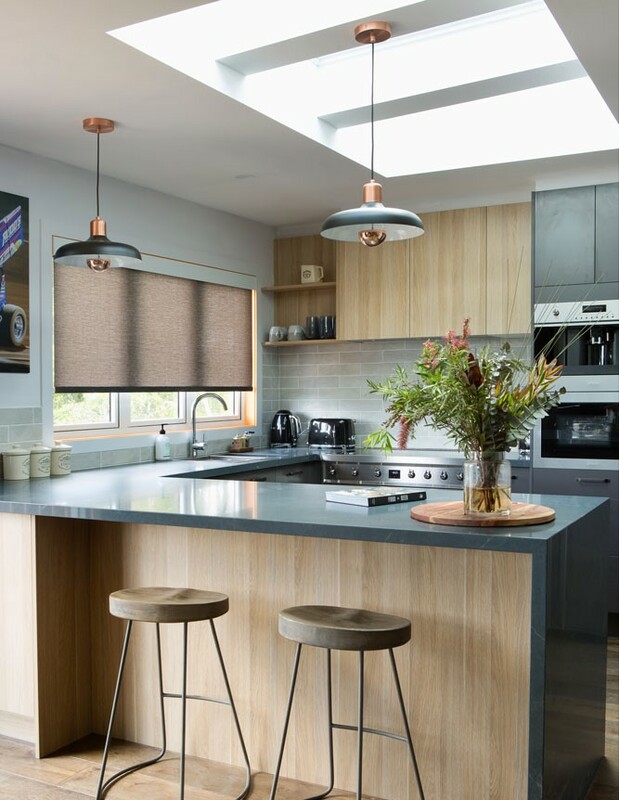 Using it in one area like below the benchtop will add interest and contrast whilst keeping the overall look light and bright. For an elegant Hamptons style, team this stunning shade with our classic white shaker style doors. 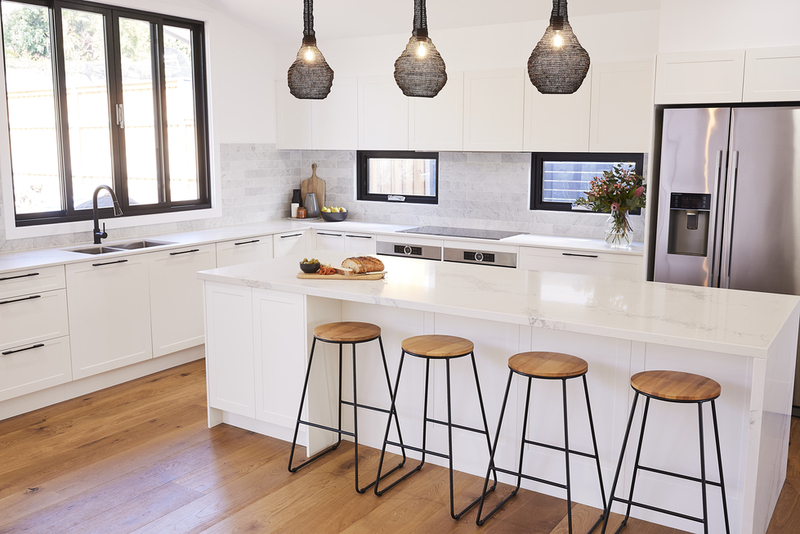 A large marble-look Silestone island benchtop complements the coastal feel, along with a geometric tiled splashback and wooden flooring. While trends come and go, an all-white kitchen always feels fresh and will be a forever favourite. Sleek cabinetry in bright white is perfect for creating a contemporary luxe style, and acts as a blank canvas for styling, allowing you to bring in touches of colour from other rooms to create a sense of flow. Add scandi-inspired stools and statement pendant lighting to complete this contempo-luxe look. If an organic feel is more your style, look to cabinetry such as Ballina Oak. Its wood-like grain with a textured matt finish looks and feels like real timber, but is as durable as it is beautiful. It can be teamed with almost any colour, and looks great in this example below combined with Charcoal cabinets and a dark grey Silestone benchtop with subtle veining. Fallen in love with any of our modern living kitchen styles? Download our kitchen catalogue for more inspiration or book your free design consultation and get started on your own kitchen journey.